When sewer lines break or are no longer functional, call Reece Plumbing and Gas. 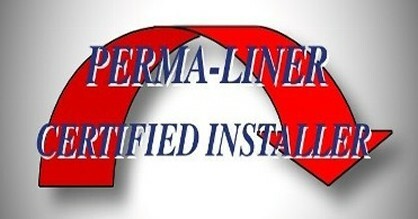 We are the trenchless pipe repair experts and Mississippi's first certified Perma-Liner installer. You'll promptly know exactly what's wrong because we provide CCTV diagnostics for all pipe sizes using mainline and push camera systems. Our robotic tools result in faster repairs. Did you know there is a better way to repair failing sewers without digging them up? With our Perma-Lateral System approach, a project can be completed in less than one day. We've been in the pipeline trenchless rehabilitation business since 2004. First, the line is cleaned and inspected with a mini inspection system. The measurement of the lateral length is taken, and Perma-Lateral System liner material is then measured and cut on-site. Next, the proper amount of resin is measured and mixed, and the tubular liner is saturated with the resin and loaded into our Perma-Lateral System inversion unit. This material is then launched from a single access point into the broken pipe sections. The liner is ambient cured for three hours. Fixes Pipe Diameters from 2" to 60"
The Perma-Lateral lining system uses a PVC coated polyester needle, felt-tube reinforced, with a polyester scrim. The tubular material is impregnated with a two-part 100% epoxy resin. This resin is designed specifically for the Perma-Lateral System. The impregnated tube is inverted inside out, allowing the resin to bond and seal with the existing host. The PVC coating becomes the new jointless inner wall. The flexible PVC coating allows the liner material to invert through 22-, 45-, and sweeping 90-degree bends with ease. Other CIPP materials and resins are used according to design specifications designated for each individual project. This repair process takes less than one day. Call on Reece Plumbing and Gas for any other plumbing requirement you may have. We also specialize in leak detection for water and drainage systems. Let us install or reroute a new water line, or provide water jet drain cleaning services. We also repair and replace tank and tanksless water heaters. Get the new bathroom fixtures you've always wanted. Our skilled and certified plumbers install bathtubs, sinks, showers, and other fixtures. Keep your family safe when using natural gas. We specialize in gas leak testing, leak repairs, fixture replacement, and new line installation. General plumbing and natural gas services are available in the Greater Jackson Area.